The volume consists of sixteen papers on the history of Francia between the seventh and eleventh centuries. 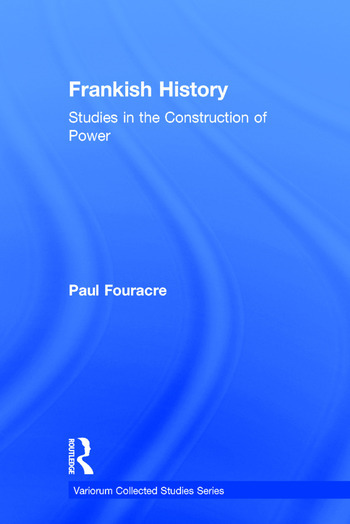 Originally published between 1979 and 2009, the papers are arranged around three interlinking themes: the relationship between History and Hagiography, the history of Francia under the respective regimes of the Merovingan and Carolingian kings, and the problem of how states with weak governing institutions were able to exercise power over large areas. The history of Francia has been one of the most productive areas of early medieval history over the past two generations. Models of European development have been based on its rich materials and the fact that the polity lasted for half a millennium makes it a prime area for the study of the dialectic between continuity and change. The papers collected here all have this ’big history’ as their background. It is to be hoped that keying into such questions makes them both accessible and useful for students and teachers alike. Contents: Foreword; Part I History and Hagiography: The work of Audoenos of Rouen and Eligius of Noyon in extending episcopal influence from the town to the country in 7th-century Neustria; Merovingian history and Merovingian hagiography; The origins of the Carolingian attempt to regulate the cult of saints; Forgetting and remembering Dagobert II: the English connection; Why were so many bishops killed in Merovingian Francia? Part II Merovingians and Carolingians: Merovingians, mayors of the palace and the notion of a ’low-born’ Ebroin; The long shadow of the Merovingians; Comparing the resources of Merovingian and Carolingian states: problems and perspectives; The context of the OHG Ludwigslied. Part III Power, Justice and the Maintenance of Order: ’Placita’ and the settlement of disputes in later Merovingian Francia; Carolingian justice: the rhetoric of improvement and contexts of abuse; Eternal light and earthly needs: practical aspects of the development of Frankish immunities; The nature of Frankishpolitical institutions in the 7th century; Cultural conformity and social conservatism in early medieval Europe; Marmoutier and its serfs in the 11th century; The uses of the term beneficium in Frankish sources. A society based on favours? ; Index. Paul Fouracre is Professor of Medieval History at the University of Manchester, UK.